About a year ago, I decided to start a sort of homeschool Tot School with my Reese. I wrote about it HERE and included our schedule. I knew I was pretty much going to be the most organized homeschooling mom that ever was. But then why is there always a but then?! I found out I was pregnant with Kendall, had terrible morning sickness, became a work at home mom and basically let Tot School fall to the wayside. Not good. I knew I needed to get back in the swing of things with my now 2 year old, so I did what any normal mom in the technology age would do- I went straight to pinterest. And y'all, I don't know about you, but when I get on Pinterest and search for things to do with my kids I feel OVERWHELMED. There are just SO many pins and each pin has 40 ways to keep your toddler occupied and make sure they attend an Ivy League School and with the themes and the craft supplies and the boxes full of beans I just feel like this is impossible and I'll never be able to do it and Reese and Kendall will both end up without an education and with no sorting abilities and and and... I just shut down. Please tell me I'm not the only one. So I decided to search for a curriculum for 2 year olds and that is when I stumbled across Hands On Homeschooling. Seriously, it is incredible! Hands On Homeschooling has a commitment to bring purpose to daily play by growing the child in their academics, life skills, and relationship with The Lord. Yes, yes and yes. The curriculum comes in a large 3 ring binder that includes It has all the worksheets and all the lesson plans written out day by day. The curriculum is set up by month (including themes) and by subject: Reading, Readiness (which includes arithmetic, physical activity, Science/Health, Social Studies, and Art. There is also a suggested practice skill for manners/helping/personal care. They offer curriculum for ages 2-5 as well as an Idea Book. 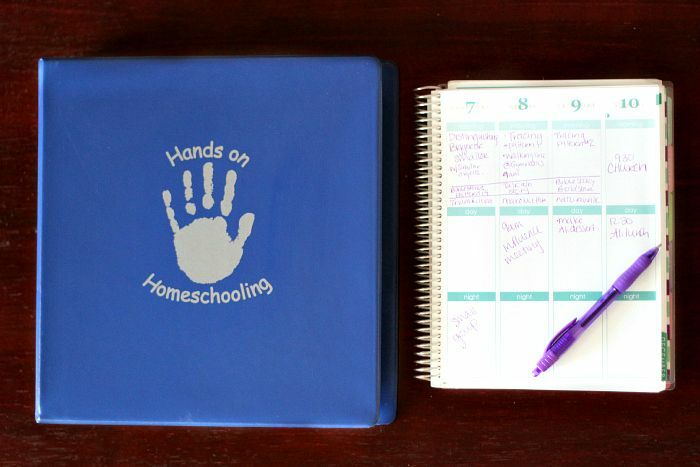 Terri, the woman who wrote the Hands On Homeschooling curriculum, includes a section on preparation and planning for your "school". She has a lot of great tips and suggested having a special spot for school or having a special box of school supplies that are separate for your child's learning time. I really loved that idea. I don't have a ton of extra space in this house, but we had some space over a desk in our living room (separate from our playroom) that I designated our school spot. I spent one day getting the supplies we needed and setting it up before we started the curriculum just so Reese could think it was special and would get excited about it. The curriculum has a weekly overview as well as a day by day curriculum. We are starting at November because I really like that all the themes relate to the month (so in November much of the work is about thankfulness). The only section where I didn't think this was best was the reading and readiness skills. I wanted Reese to start at the beginning of learning letters instead of jumping in at "G". The way the curriculum is formatted makes this really simple. I just follow the reading and readiness skills from the beginning and do everything else in November. On top of the school curriculum there are suggestions each week as to what should be on your class bulletin board or in your dramatic play area if you choose to do that. After emailing with Terri a little, I opted for the 3 year old curriculum even though Reese is only 2 and a half. What I like about it is you can make things easier or harder based on their skill level and then reuse the curriculum until they understand. So for example, this week we are learning the story of Daniel and the Lions. There is a lion coloring page.. it says for the kids to color + glue yarn on the mane. I am not sure Reese knows how to use a glue stick or that her fingers are nimble enough to glue yarn. So I am just having her color it as we talk about the story. Or I could get those bingo stamper things and have her color it with dots. That's the cool thing about homeschooling- I can tailor it to her level. And then, hopefully, I can use the same curriculum, and make it more difficult for Reese next year. I can even simplify it next year to include Kendall. If you know us, then you know Reese has the attention span of a... HEY LETS GO PLAY WITH MINNIE MOUSE! Yes that was cheesy but I think it's funny so I'm leaving it so I wasn't sure how she would do with homeschooling. But the curriculum is specifically built for kids her age. For the readiness skill this week we were talking comparisons (big and small, bigger, smaller, etc) So I pulled out a few of her ducks and started talking about what was bigger and what was smaller. She didn't seem to be getting it. I pulled out different size cups and bowls but she still didn't get it. So I decided to make it a physical activity. We stood up and put our hands in the air and made ourselves really big and yelled BIG!!!! Then we crouched on the ground and in the tiniest of voices squeaked out a small. One of the sections of the curriculum is gospel based. There is a memory verse for the month and activities to different bible stories each week. Reese has already completely memorized the November verse in literally 3 days because she is a genius so i might need to add extra memory verses or really work on her pronunciation. I bought some gold stars and when she recites the verse correctly, she will get one to put on her bible verse chart (which was included). There is also a chore chart included where you can give our child stars or stickers for completing their daily chores. Everything is formatted but the chores are blank so you can choose appropriate chores to your child's skill level. Seriously, y'all. This is the first night when we practiced writing, going in an order, and following from left to right. Reese loved it. Y'all, do yourselves and your kids a favor and head on over and purchase yourself one of these curriculum. Terri did not email me and ask me to do this. I researched a ton, found her, contacted her, and asked her if I could review a copy of her curriculum in-kind. I don't make any commission off of anything you purchase or if you click through to her website. She is not an influence girl or a friend of mine yet? I just genuinely really truly do love this curriculum. And I think your family will, too. Thanks for sharing this! I would love, love, love to do this…when we get extra money ha ha! Thanks for sharing this! I totally plan on homeschool my children. My mentor just took her daughter out of private school so she can travel doing the ministry work she loves, and it has me so intrigued. I love how even though her daughter had been in private school, she loves the freedom homeschool gives her. She's able to travel and do her pro-life ministry stuff, as well as go to her brother's college baseball games no matter where they are. I will certainly be looking into this in the future. Can you say, "BOOKMARKED!"...lol. I am giving you a virtual hug from Reese's future teachers. I teach 8th graders and can tell exactly who got extensive early childhood learning and who didn't. Even a little bit (and your doing a lot!) makes a HUGE difference! You go mommy! Thanks for sharing! I've been meaning to homeschool preschool my 3 year old for some time now and just can't get organized enough to actually do it! This looks like a great program. I think I may use this! Thanks for writing about it! Thank you so much for sharing this!!! I have been looking into putting a curriculum together but it is so time consuming and the fact that it is not as expensive as other curriculums is awesome!! I will definitely be trying this next year! You've got me on the research train right now, especially since Liam won't be back in preschool after we move (tear). I looked into the program that his school teaches, and boy it was pricey! What made you choose one you paid for over the free options? This curriculum was all inclusive and already done for me for the whole year. It includes a bible lesson every day, how to set up your "school" area, a daily, weekly and monthly schedule of exact lessons, all printables, lesson ideas if I dont want to do one, it hits all the major learning categories (reading, writing, social studies, arithmetic, physical movement, science), it has a bible verse each month and a bible lesson each day. I am sure I could've maybe spent all the time to research all this and put it all together myself but.. honesty time?... I wouldnt have done it. Having this curriculum and everything included and organized and put together for me already gave me no excuse to not start that day. And its made it easy to continue. Do you still use this curriculum? Yes! Using it again this year. It starts in September! Glad you are still liking it. I am trying to choose whether to go this route or to go a supervised route. Our state, Texas, has a HIPPY program where they bring you curriculum and there's a home visitor that comes weekly to check on your progress and it's free. From what I hear they give you craft supplies too. Hoping you see this. 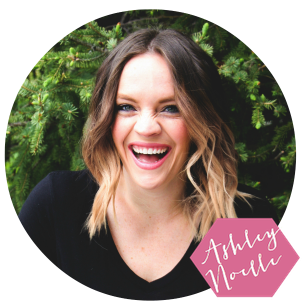 So new to this blogging thing it's not even funny...ok maybe it is :) Are you still using this curriculum? How is it working for your schedule? How is this curriculum working out, with 2 little ones? I have a just turned 2 and a 3 month old?